Girdwood Alaska is a small, mountain community located 40 miles from Anchorage and Ted Stevens International Airport south of Anchorage along scenic Turnagain Arm. 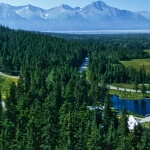 Girdwood has evolved from a gold mining town into Alaska’s only year-round resort community. 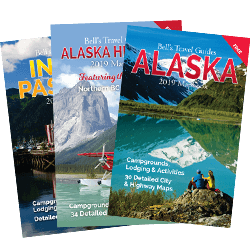 At this unique destination, you will experience an authentic Alaskan adventure. Summertime recreation includes fishing for salmon in local glacial streams, hiking in Girdwood’s alpine rain forests, river rafting and kayaking, mountain climbing, flightseeing, glacier and wildlife viewing and biking on Girdwood’s bike path or the many trails in the valley. Closer to Mt. 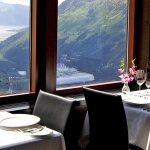 Alyeska (pronounced alley-eska), sightseers can journey 2,300 feet above the valley floor aboard the Alyeska Tramway to get a bird’s eye view of the surrounding glaciers and the Turnagain arm. Look for moose, black bear, Dall sheep, hoary marmot, golden and bald eagles, beaver, porcupines, and ptarmigan (Alaska’s state bird) among many others. It has much to offer the Alaskan visitor. Complete with gift shops, post office, a variety of B&B’s and restaurants. On Good Friday in 1964, an earthquake with the magnitude of 9.2 dropped the coastal edges along the Turnagain Arm 8 to 10 feet! Consequently, the townsite of Girdwood moved two and a half miles up the valley to it’s present location.